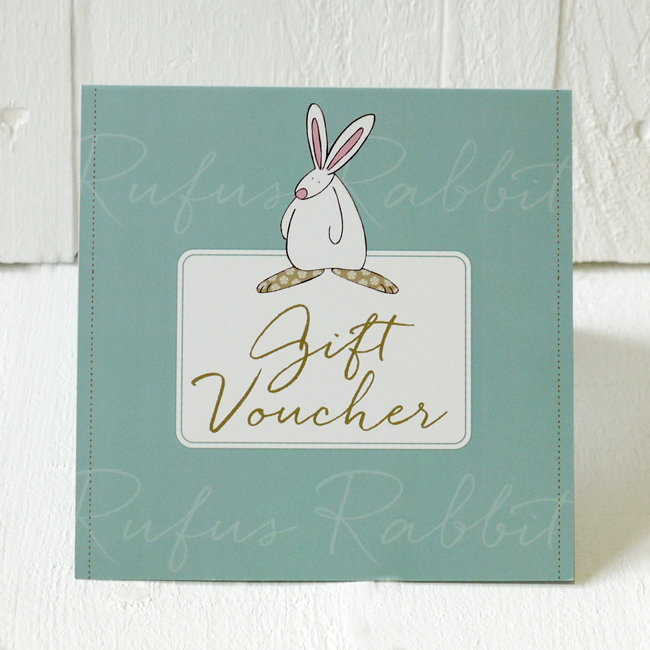 Rufus Rabbit gift card.The very best way to give the gift of choice! 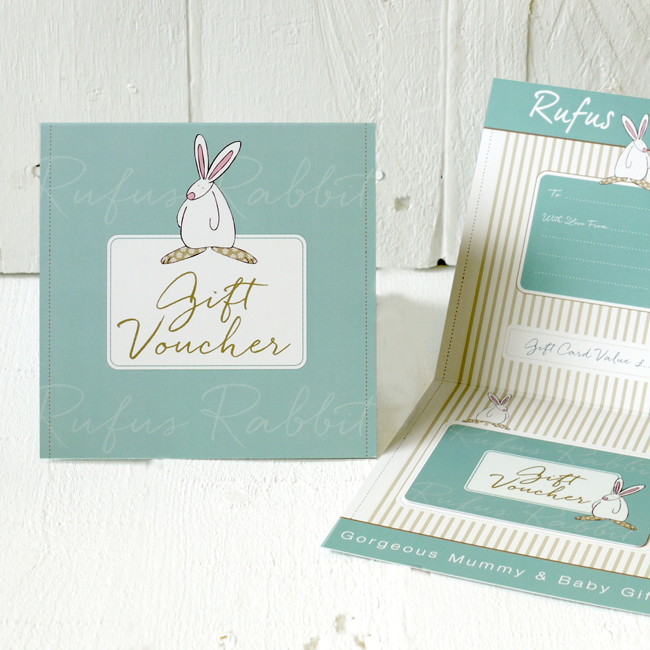 The Rufus Rabbit Gift Card is finally here and it’s only taken half a decade to make this gift option a reality! 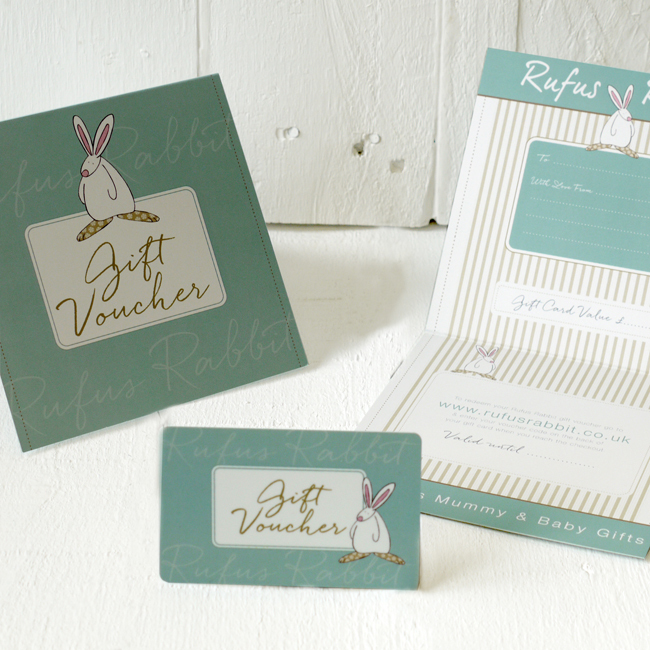 The Rufus Rabbit Gift Card is perfect for people with indecisive natures. Stylishly designed, the plastic gift card is credit card size and arrives in a card with a white envelope. It is a lovely way to give someone special the gift of “choice”. Finally, it can be posted directly to the recipient or sent to you and given in person. The Rufus Rabbit Gift Card allows the recipient to browse our Rufus website at their leisure and choose a gift from you that they really love. The gift card is valid for a whole year from the date of purchase. As a result, any money left unspent will automatically be held in the account ready for the next visit. 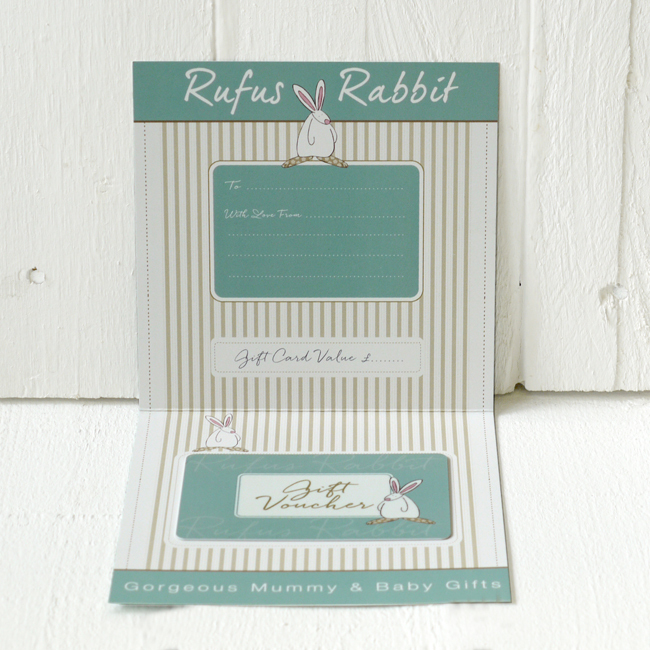 Please note, this Rufus gift card is exclusive to The Little Dog company and therefore can only be redeemed on Rufus Rabbit products on the Rufus Rabbit website. As a result, unfortunately, it is not valid in any other retail outlets or websites.